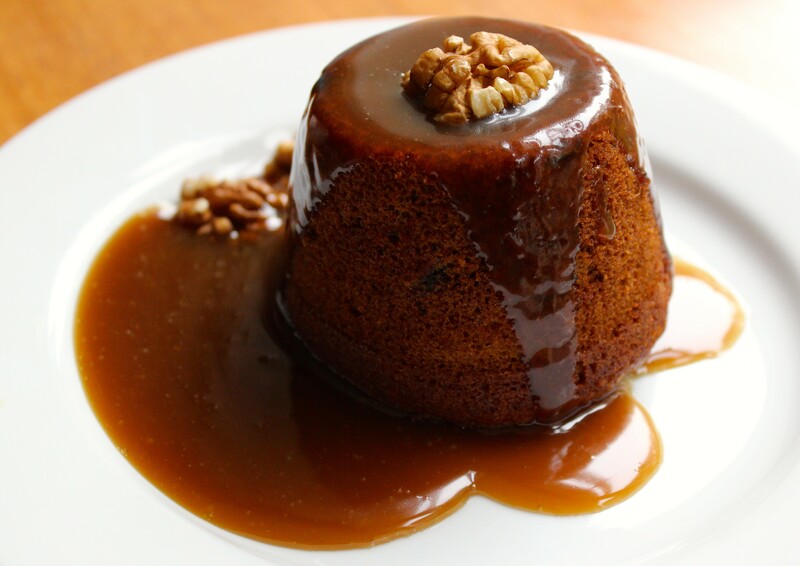 Sticky Toffee Pudding is a classic British dessert consisting of date sponge served with a sweet toffee sauce. Pudding doesn’t get much better than this! I posted this recipe a while back when I had first started writing my blog. They’re one of my favourite desserts so I wanted to update and share the blog post once again because I love it so much! Sticky toffee pudding is a dessert you will make time and time again. I had previously baked these in celebration of Great British Pudding Week, my sister, Becky, took a look through my blog and requested I made these again over the weekend for a family dinner. Sticky toffee pudding is the epitome of food comfort on a cold afternoon or evening. The cake itself has to be eaten warm for you to experience its full glory and don’t skimp on the toffee sauce! 1. Preheat the oven to 180°C / 160°C Fan / 350°F / Gas Mark 4. Lightly grease the sides of 8 x 200ml pudding basins or ramekins and line each the base with a small circle of parchment paper. Place on a large baking tray and set aside. 2. Place the dates along with the boiling water and bicarbonate of soda into a small mixing bowl and put to one side. Meanwhile in a large mixing bowl cream together the butter and sugar with the vanilla until light and fluffy. 3. Add the eggs one by one and beat until combined. Now sift in the flour and gently fold into the mix. Finally stir through the date mixture until it’s completely incorporated. 4. Divide the mixture between the pudding moulds, making sure you only fill then 2/3 of the way full. Then place back on the tray and bake for 20-25 minutes or until a cake tester comes out completely clean. 5. Whilst the puddings are cooking, this is a good time to make the sauce. Put the butter and sugar into a pan and melt, bring up to the boil and then simmer for 5 minutes making sure you stir from time to time. Add the cream and stir through. 6. When the puddings are cooked, remove gently from the pudding moulds using a small palette knife or butter knife – remember to remove to the circle of parchment paper from the bottom. To serve, pour the sauce over each pudding and serve with pouring or whipped cream or a scoop of vanilla ice cream and some chopped walnuts or toasted pecans. You can bake the puddings in advance, just like I did. Follow through to the end of step 4, then remove the cakes from the moulds, then allow to cool and once cooled completely wrap in clingfilm (plastic wrap) or store in an airtight container for up to 2-3 days – warm up either in the microwave or oven. They can also be frozen once baked for up to a month. Just thaw in the refrigerator overnight and then bake for about 5-10 minutes until warmed through. I like to use any leftover toffee sauce to dip into churros, top pancakes or drizzle over ice cream! This is my favourite pudding and reminds me of being at school. I love anything with dates in it though. Oh this pudding sounds incredible, Jessica! I don’t think I’ve ever had a toffee kind before, so I’m loving this. Looks so good! Oh wow…I’m so glad you updated this post so that those of us who didn’t see it the first time can drool over it! 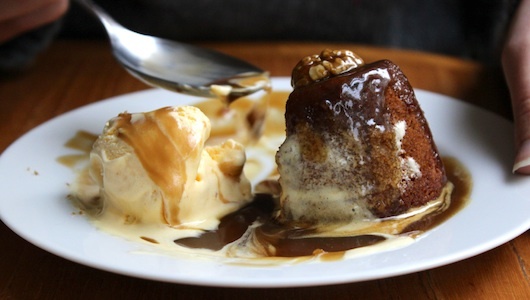 I’ve never tried sticky toffee pudding, but it’s certainly going on my dessert bucket list now! Wowza! This looks crazy delicious! I love toffee, but this is toffee on crack! 😉 YUMMMM! Cheers to a fabulous week! Whoa! I’ve never seen anything like this toffee pudding cake before! I need this in my life! These look fab! Love sticky toffee pudding. My husband’s favourite too! I have never tried sticky toffee pudding (gasp!) and definitely need to remedy that. This looks incredible, Jess! Sticky toffee pudding is my husband’s FAV! I can’t wait to try this! Looks magical. I’ve only had sticky toffee once, in a fancy restaurant in Heathrow during a layover. My mother lived in the UK for a year and she made sure I tried it when we were in London and it was AMAZING. I had no idea it was so easy to make! This is calling my name! I’m so glad you resurrected this one, Jess. Pinning for sure to try later. 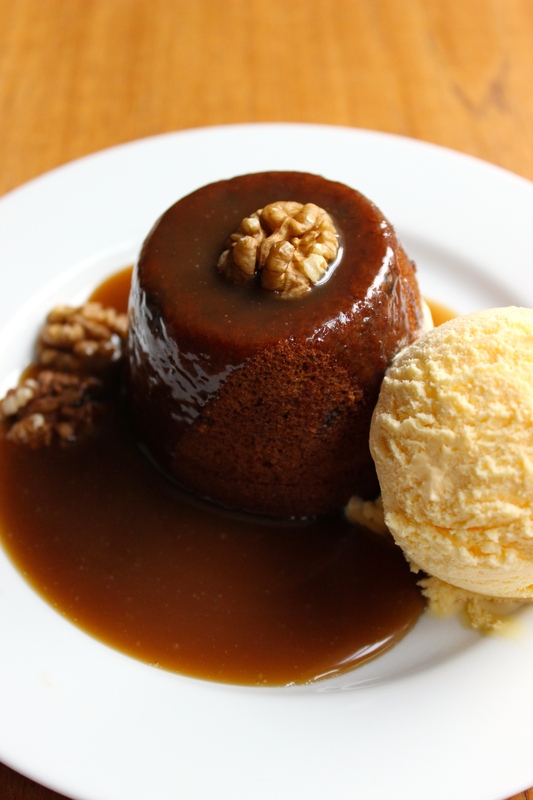 This sticky toffee pudding is so delicious! I’m loving that dark, rich toffee sauce over that soft pudding! I need to make this soon! Beautiful pudding! It looks so delicious. One can never have to much Sticky Toffee Pudding!! This look so so delicious I just want to make it right now!! YUM! I love sticky toffee pudding!!! It’s my favourite British dessert. This looks so beautiful Jess, it sounds amazing! Yum!!! OH MY HEAVENS! Jess, this looks amazing. I’ve never had Toffee Pudding and it looks like I really need to! Love this so much. I love British desserts – they are so fanciful and fun. I love sticky toffee pudding. it’s one of my favorites! this looks amazing Jess! Wow, I’ve not had sticky toffee pudding in ages! You make me want to change that, this looks so sweet and delicious!